Just one remark. 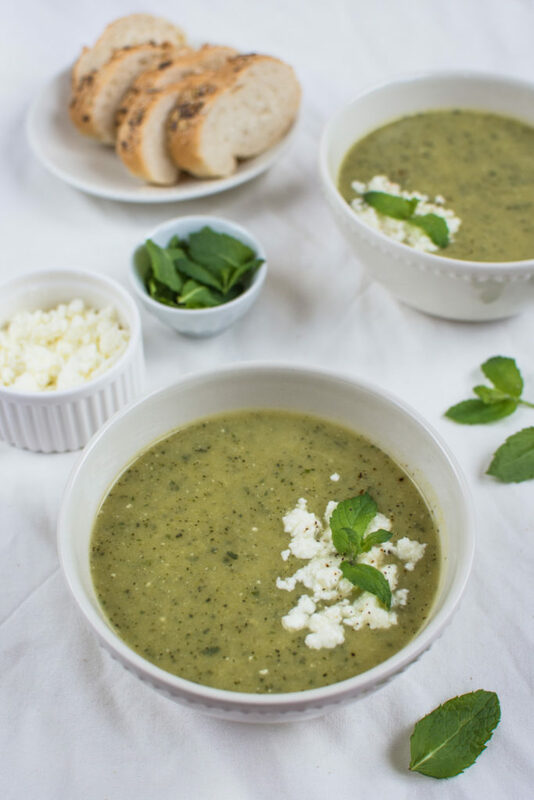 Do not season the soup with salt too much and rather add some salt once you have added the feta cheese as this one will add some saltiness too. 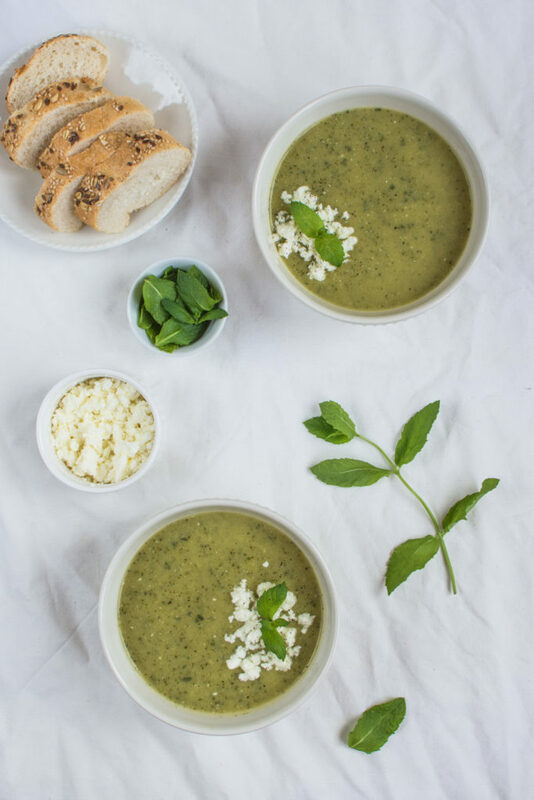 Remember that you can also pour this summery zucchini mint feta soup in small glasses, chill in the fridge and serve for example at walk-in dinner or so. On Saturday I will be leaving home for a week, especially to enjoy the new puppy of my parents and hopefully catch some sun as there has not been enough of it lately in Belgium. Last year we loved visiting the wine region in the Southern Moravia and so we were supposed to discover the Northern corner of Bohemia this time, although plans have changed so I am now looking into other ideas which keeps me busy for the next days I think. Any ideas? Which parts of the Czech Republic have you visited (other than Prague)? Let me know in the below comments! 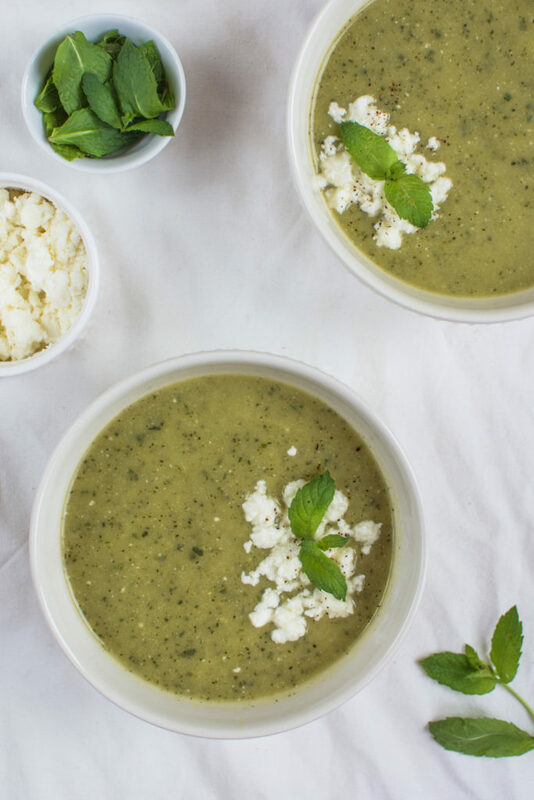 This simple Summery Zucchini Mint Feta Soup is delicious both when served warm or cold. 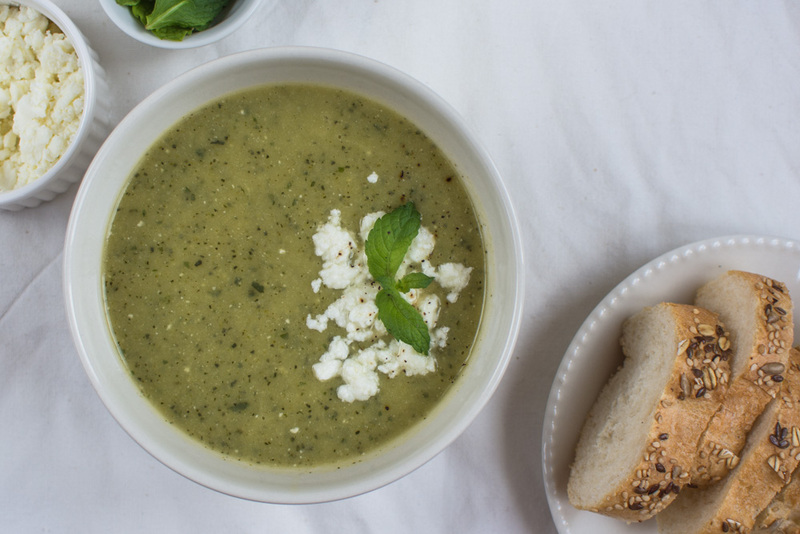 In a large saucepan, heat the olive oil. Add the onion and garlic and cook until soften, stirring frequently. Add the zucchini, potato and vegetable stock, season with salt and pepper. Bring to simmer and cook for 25 minutes, again stirring frequently. 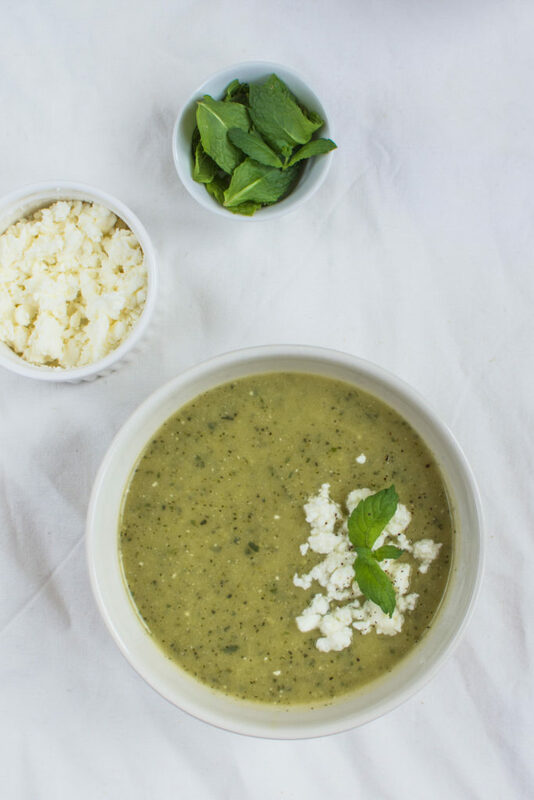 Add two thirds of feta cheese and mint leafs and purree the soup in a blender. 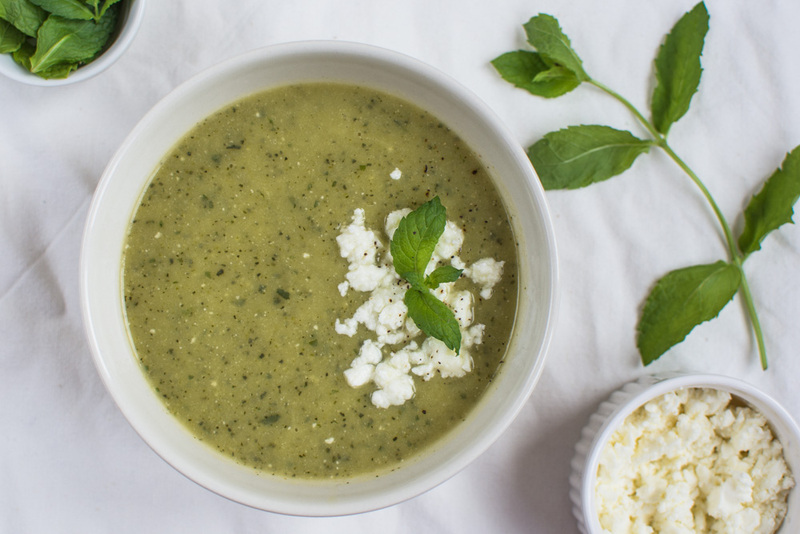 Serve topped with the remaining feta and mint leafs.